The National Labor Relations Board’s (“NLRB’s”) revised joint-employer standard spells trouble for businesses that rely on temporary employees or contingent workers and businesses that use the franchisor-franchisee model. Citing the dramatic growth in contingent employment relationships, on August 21, 2015, in Browning-Ferris Industries of California, Inc., the NLRB abandoned its more limited joint-employer standard and adopted an expansive new standard designed to encourage collective bargaining. Under the NLRB’s old test, an entity could be found to be a joint employer only if it had the authority to control workers’ terms and conditions of employment and if it actually exercised direct and immediate control over the workers. Under the new test, an entity may be found to be a joint employer if it has the authority to control workers’ terms and conditions of employment, even if it never exercises that authority. Categories: Labor Law | Tags: BFI Newby Island Recyclery, joint employer, Leadpoint Business Services, National Labor Relations Board, NLRB | Permalink. The NLRB’s general counsel announced on December 19, 2014 that he will proceed with thirteen (13) cases involving seventy-eight (78) charges against McDonald’s USA, LLC and its franchisees. The alleged violations took place against McDonald’s workers in several cities throughout the country, including: Detroit, St. Louis, Manhattan, Philadelphia, Atlanta, Chicago, Kansas City, New Orleans, Los Angeles, Phoenix, San Francisco, Minneapolis and Indianapolis. 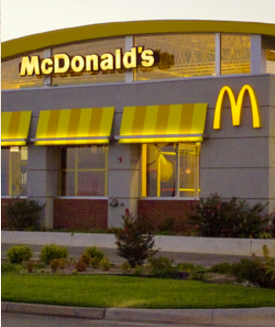 McDonald’s and its franchisees allegedly retaliated illegally against employees who participated in union-related activities by reducing their hours, terminating them and/or subjecting them to other disciplinary actions. Categories: Labor Law | Tags: franchisees, General Counsel, joint employer, McDonald's, National Labor Relations Board, NLRB, Union | Permalink. On May 13, 2014, the National Labor Relations Board (Members Hirozawa and Schiffer; Member Johnson, dissenting) announced that in Browning-Ferris Industries and Leadpoint Business Services, Case No. 32-RC-109684, a union representation election case, that it had granted review of the regional director’s decision in order to determine if the Board’s current joint employer standard should be modified. The current Board consists of three Democratic and two Republican Members. One can assume that the Democratic Members wish to loosen the standard so that union bargaining units can be expanded to include persons formerly considered independent contracts or employees of another employer. Under the Board’s current joint-employer standard, as articulated in TLI, Inc., 271 NLRB 798 (1984), enfd. mem. 772 F.2d 894 (3d Cir. 1985), and Laerco Transportation, 269 NLRB 324 (1984), is Leadpoint Business Services the sole employer of the petitioned-for employees? Should the Board adhere to its existing joint-employer standard or adopt a new standard? What considerations should influence the Board’s decision in this regard? Categories: Labor Law | Tags: amici, Browning-Ferris, Harry Johnson, Inc., joint employer, Kent Hirozawa, Labor Law, Laerco Transportation, Leadpoint Business Services, Nancy Schiffer, National Labor Relations Board, NLRB, representation election, single employer, sole employer, Teamsters Union, TLI | Permalink.